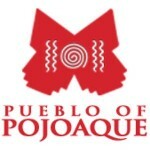 The Pueblo of Pojoaque Public Library is seeking a Children’s Librarian for 4 hours a week during June and July to present story times and activities for the national FIZZ BOOM READ Summer Reading Program. A one-hour program will be scheduled one morning each week, allowing three hours for program preparation or other assignments as needed. The position requires strong interactive skills to engage children and families in family events and to encourage reading for the program. An M.L.S. is preferred, but a New Mexico Librarian certificate and library experience with children will be considered. The position pays $16.00 per hour.